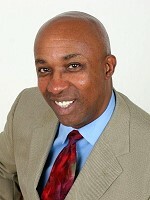 Reggie is an international speaker/lecturer, an author, and an active real estate investor. Reggie has spoken on programs with such notables as Donald Trump, Magic Johnson, Suze Orman, Anthony Robbins, George Foreman, Rudy Giuliani, Dr. Albert Lowry, Alan Greenspan, David Bach and Russell Simmons, to name a few. "It's very simple when you take the time to learn how", Reggie says. Over the years, Reggie has developed his Success Systems that consistently turn marginal $15,000 to $20,000 real estate deals into $50,000 to $75,000 deals. Reggie teaches his Success Systems all over America. His students say that the combination of his insightful knowledge with a sheer joy for teaching makes the learning process pleasurable. Reggie has earned the respect of the real estate investment community as well as the seminar community because of his many investment accomplishments and his ability to teach them in a seminar or classroom setting. Of his many successful students Reggie is most proud of his two kids, Keith and Arlett. Through his mentoring they have both become successful, full time millionaire real estate investors.